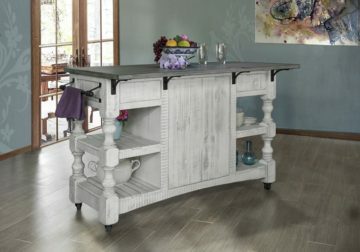 This rustic kitchen island is the perfect addition to your home. The stylish island features an antique distressed finish and hand wrought iron hardware. Three deep drawers, two doors, and four shelves provide plenty of storage space. 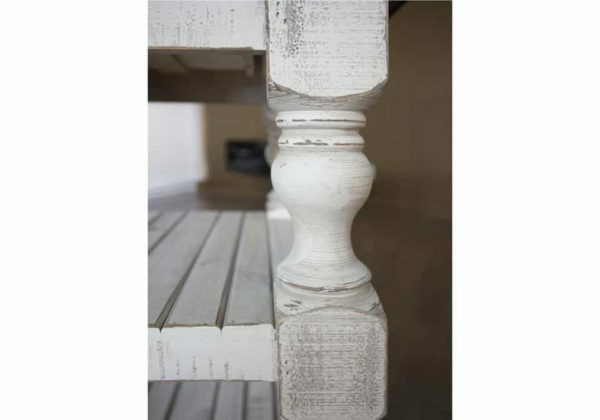 Timeless style and durable construction combine in this stylish collection. Featuring pieces built with 100% solid pine wood, you can relax and enjoy these long lasting pieces. 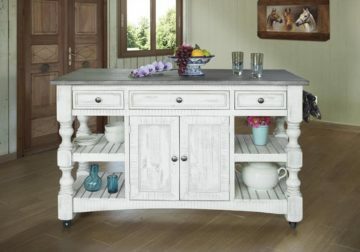 The combination of warm gray and off-white finishes seen in this collection, along with slightly traditional style touches gives this group a distinct look that will blend in to almost any home.